To capture the holiday spirit, the Greater Cleveland PC Users Group (GCPCUG) and the Cleveland Digital Publishing Group (CDPUG) will hold a joint meeting to explore the cool tech gadgets for this holiday season. 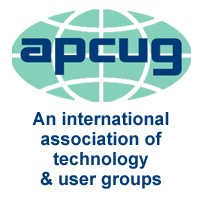 Spike Radway of CDPUG and Jim Evans of GCPCUG have created a line-up that will appeal to Mac fanatics, Windows diehards and everybody who just wants something cool. Yes, we know that we are presenting several small devices that may be hard to see unless you are sitting in the front row. That’s why the devices will be displayed on the large screen using a document camera so even people in the last row can see them. At the end of the meeting, we will raffle off several books (both Windows and Mac variety) from O’Reilly Publishing, presenter Carlo Wolff’s “Cleveland Rock & Roll Memories,” and various other items. All proceeds will go to the Salvation Army. You will be able to buy tickets for $1 apiece or you can bring canned or boxed food items and exchange them for tickets. Everyone is interested in digital photography but the products seem to change month to month. Eric Wethington from Dodd Camera and Video downtown will show us the Hyperdrive, a mass storage device; the Eyefi, a wireless SD card; the Lens Pen, and a camera that inspires him. Eric has worked for Dodd's for more than 15 years and is a supervisor at the main commercial store. He has been an avid semiprofessional photographer since 1994, focusing on weddings, portraits, fashion, and pets. His web site is www.clavestone.com. Dodd Camera was founded in 1891 and currently operates 11 stores in greater Cleveland, Akron and Medina. Many people want a computer that they can carry with them so they can easily access the Internet, edit files, check their e-mail, do research or simply have fun on the go. Carrying laptops that weigh five or six pounds feels like toting a load of bricks. How about a two-pound netbook you can easily carry, has Wi-Fi, Ethernet, gigabits of storage, USB ports, a decent keyboard and screen and runs Windows or Linux for less than $400? Linda Koco, a computer and electronics enthusiast will demonstrate her Asus EEE PC, which runs Linux. Jim Evans will show his Acer Aspire One, which runs Windows. During the presentation, Linda will talk about what to look for in a netbook, and what these little marvels can and cannot do. Linda founded and then moderated GCPCUG's s e-newsletter SIG for seven years and, during work hours, launched five e-newsletters for her employer. She is now the managing editor of those e-letters. A veteran business writer and editor, she uses laptops, smart phones, jump drives and other mobile devices while traveling on assignment. Now, she has added a netbook to her e-toolbox. If two pounds is too heavy, how about a very smart phone that is way more than just a phone? We will have the Apple iPhone and the Google G1. Both start out as phones, but they have the ability to do so much more: You can use them to take pictures, work on documents, do e-mail, and surf the internet. Scott Seifert will present the iPhone. Scott is a popular presenter at CDPUG meetings. He holds a photography degree from Ohio University and spent the first five years of his working life as a photographer. He then switched careers to web development as a network administrator, providing Mac support at first but later gaining extensive experience in Windows. Scott has now returned to his “roots” and is working with Team Spike Consulting, Inc., supporting the Apple Macintosh community. The G1 will be presented by Jim Cookinham, who is well known as founder of the Northeast Ohio Software Association (NEOSA). His passion for technology started as a naval officer on a submarine to being a project manager at nuclear plants and then NEOSA. Now Jim has started the Mobile Application Developers Opportunity Group (MADOGS) the web site is at madogs.ning.com. The group is for those interested in developing applications for the iPhone and the G1. The Amazon Kindle is an e-book reader that lets you download books and magazines that you can take anywhere and read anywhere. Bill Cohen-Kirally and Carlo Wolff will demonstrate the Kindle for us. Bill is current president of CDPUG, is a former leader of the Web Development SIG and the former layout editor of the GCPCUG newsletter. Carlo, an author himself and a prolific book reviewer, will talk about how to use the Kindle, what makes it user-friendly and what makes using it different from reading conventional books. As of mid-November, Carlo has read two books on Kindle and discovered pros and cons about the device, the first book "reader" he's ever felt comfortable with. Now that the price is coming down, the Kindle seems like a pretty cool deal -- particularly when you consider you can carry nearly 200 books in a device that weighs a little over half a pound. He hopes that his own book, Cleveland Rock & Roll Memories, is Kindled so Amazon can sell a few more copies. In the home entertainment category, we will look at the Apple TV and Slingmedia's SlingCatcher. You might be familiar with Slingmedia's Slingbox, which allows you to watch television on your computer; the Slingcatcher takes this to the next level. Both the Slingcatcher and Apple TV allow you to take your digital media and show them on the TV instead of just the computer. You can also use them to watch Internet movies from sites like Hulu, IMDB, YouTube and Netflix. Jim Evans, who has been beta-testing the Slingcatcher, will demonstrate it, while Spike Radway will talk about the Apple TV.